Very nice leather jacket with good detailing. Shapes the waist without being tight. A little long in the arms. The leather is soft and feels high quality. 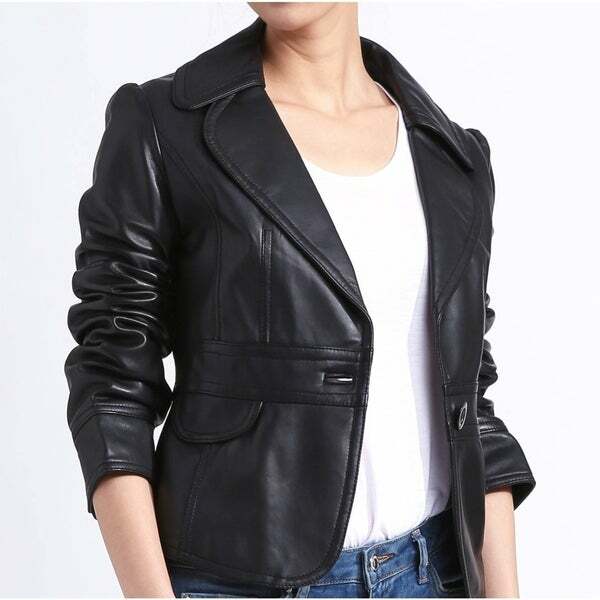 Dress up your jeans with this chic, comfortable women's Emma leather jacket. The sleek black styling has tough-girl flair, but the soft, fully lined materials hug your body for a pretty feminine profile. "How does the size eon this run- I have seen things that say Asian amde wear is much smaller - order 1-2 sizes larger"